We're excited to share a fantastic event we have planned at a brand new venue – Raised Urban Rooftop Bar. 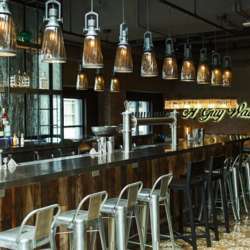 Raised is an upscale & trendy bar with stunning views of the Chicago River and downtown skyline. Raised is located on the 3rd floor of the Renaissance hotel. Along with the incredible view, Raised offers great food and fantastic specialty cocktails. It will be super cool!